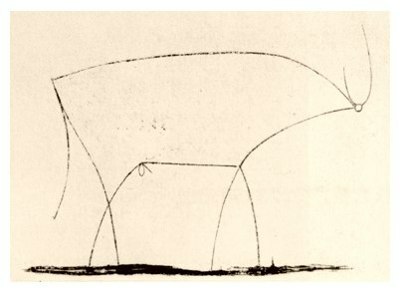 Picasso’s Bull is a striking illustration of the power in distilling something down to its essence. For the startup entrepreneur, seeking venture capital is often an extraordinarily difficult affair. In the U.S. alone, millions of startups spring into existence every year. Of those startups, less than 1,000 will receive venture financing. One look at these numbers will tell you that many entrepreneurs will see their quest for financing end before their idea is so much as considered by a person capable of providing startup capital. If that wasn’t daunting enough, the average VC will fund less than 1% of the requests for capital they do receive. Given the difficulty of reaching qualified investors and the competition over venture financing, when the eyes and ears of a decision-maker are focused on your pitch, it’s crucial that your presentation conveys the information your audience wants to hear and that it does so decisively. While VC financing is difficult to come by, opinions on how to pitch for it are not. From purported industry professionals to faceless internet gurus, myriad sources are continuously weighing in on how startups can maximize their chances of securing VC funding. Less present in this cacophony of well-meaning voices is guidance from the VC’s themselves. Given that VC is a profession defined by close listening, it’s unsurprising that relatively few of its practitioners have had volumes to say on the subject of delivering a pitch. The makings of a great presentation will vary even between VC’s; however, from being on both sides of the table, I’ve gained a few insights on paring a pitch down to the essentials. Being passionate about your idea can be crucial to the success of your venture. Having a reservoir of relevant expertise is more vital still. While it is important for you to have both of these attributes, understand that a large portion of your audience likely has neither. To most VC’s, your venture is little more than a series of variables. They will constantly be trying to determine whether the addition of cash to your equation will yield value in multiples of what they might put in. Given this, try to avoid exhibiting too much personal attachment to your vision. Are you gushing to build a flying car? Great, but don’t pin your life’s ambition on seeing the first model come off the line. If General Motors tenders a lucrative offer to buy your engine schematics (effectively shuttering your company), VC’s want to know you’ll give it serious weight and that the return on their investment will supersede your attachment to your dreams. If you appear too married to a particular outcome, VC’s will take a dimmer view of your leadership and perceive your venture as riskier and less of a value proposition, which is something an entrepreneur seeking financing can ill afford. Similarly, if you have relevant, in-depth expertise, demonstrate it in a way that empowers your audience to make a more-informed decision. If you’re asking for funds to build a flying car, investors will be thrilled to learn that you’re a former fighter pilot who left the Air Force to work as a rocket scientist for NASA. Their joy, however, will quickly give way to despair if in your next breath you launch into a ponderous lecture about how your innovative design for the rocket nozzle dramatically boosts the effective exhaust velocity of the vessel. A better way to convey your intended message would be to say that you’ve pioneered a new type of rocket design that will allow the car to go farther than anything previously conceptualized without requiring any increase in the amount of fuel you put into it (or more-simply, that your engine is a breakthrough in rocket fuel-efficiency). Worry foremost about getting your point across and if a VC likes the broad strokes, you can be certain they’ll have someone chat with you about nozzle pressure per unit of propellant. If you find yourself pitching to a panel of VC’s, demonstrate your passion by emphasizing how much you’ve put into the venture rather than defining what you want it to become. Devotion to success makes for a far better investment than devotion to an idea. Similarly, use your expertise to expand your audience’s understanding of your operation. VC’s like smart people, but smart people who can convey complex information simply and succinctly are more preferable still. Your audience is looking for the value in what you’re presenting with a cold gaze; flexibility, ambition, and effectiveness will help them see it. What are you doing? Start by hitting me with it in one sentence. If you need to elaborate further for me to get a basic handle on it, expound for a sentence more. You’ve got the rest of your presentation to go into detail, so capture my attention quickly in a way that helps me evaluate everything else you’re going to say. What’s the problem? You’re pitching because you’ve got a solution that presumably makes life better for a particular demographic. Tell me why your target audience’s life is worse without your product. What is the condition that the constituents of your target market are struggling with that they’ll pay you to improve? Make me understand (and, if possible, empathize with) the problem and I’ll be much more interested in seeing it solved. Whose problem is it? What proportion of the population is dealing with the issue you’re planning to solve and does your solution benefit one segment of the population in particular? I want to know the scope of what you’re trying to accomplish and how difficult it’s going to be for you to sink your teeth into that first chunk of the market. Who has tried to solve this problem and why have they failed? Problems, particularly ones that people will pay to solve, tend not to go ignored by the people who are dealing with them or the people who can profit from ameliorating them. Whatever the issue is that your venture is slated to tackle, someone has already done something about it. Who has taken a crack at offering a solution and why hasn’t anything that’s been done thus far worked out? Help me understand why this problem is still around. How are you going to solve the problem and why will you succeed where others have failed? Here’s your moment to shine. What amazing solution have you devised to make the problem you’ve been telling us about into a thing of the past? Describe your good/service in the most concise format possible. If you have it prototyped and/or are able to demo it, even better. Whether you have something concrete to aid your explanation or you opt to walk me through a hypothetical, I want a clear and comprehensive explanation of your venture in as decisive a format as you can deliver it. Convey clearly why your solution is strong where others are weak. How does your venture make money? Now that I understand the issue, who’s dealing with it, and how you’re going to solve it, tell me how you turn that into money. Explain your pricing, who’s paying you, how you’re being paid, and anything else that’s relevant to monetization. If you haven’t figured out which revenue model is likely to be the best, pick one to present, and crunch the numbers on it. Indicate that there are alternatives you’ve considered and that you can discuss them during Q&A. What’s your endgame? Tell me your vision for the future of your company. What will your company become if everything goes according to plan? Be sure to comment on possible exit strategies while remembering that more flexibility is better when it comes to liquidation. Who are we dealing with? Show me the team that’s going to get it done. Emphasize your strengths and illustrate what each key player brings to the table while acknowledging areas where additional expertise is needed. I’ve seen a lot of presentations where the founders and their backgrounds were covered near the beginning of the pitch. For my part, I prefer to know what the team is trying to accomplish before I attempt to gauge their ability to accomplish it. What do you need and why? Tell me what you’re asking for and be prepared to justify your request. If you say you need $1MM to finance the next stage of your venture, your next breath should itemize exactly what you’re planning to spend it on. From marketing expenses to office space, show me exactly what you need the money for and be prepared to explain why the business can’t thrive without it. Keep in mind that VCs aren’t absorbing the risk of investing in your idea to then pay you an exorbitant salary. Accepting VC financing is in many ways like a marriage; you sink or swim together. The amount you allocate to founders’ salaries should be no more than is necessary to get by while you devote yourself to seeing your venture take off. I’ve seen otherwise promising ventures removed from consideration after one look at the salary breakdown. Asking for only what you need demonstrates commitment to your venture, respect for investor funds, and your belief that your share of the equity will be the ultimate payoff. If your presentation can answer the above questions clearly and decisively, you’ve covered the essence of what you’re working to achieve as well as why the investors you’re pitching to should be interested in hearing more. If you’ve done your job well, the VC’s you’ve been presenting to will actively look for a way to pull your idea apart. You should anticipate aggressive questioning and challenges to the viability of what you’ve presented as your prospective investors pry for weaknesses in your business model and gaps in your expertise. It’s a good idea to be prepared with additional slides and materials that you can reference when pressed for further details, but reference materials are not a substitute for a comprehensive understanding of your business and a strong basis of contextually relevant knowledge. I have yet to encounter a scenario where a VC was so enamored with a venture that the disposition of the founder(s) was irrelevant. Whether your idea is well received or your audience still has doubts, if you come across as easy to work with, your chances of getting a follow-up meeting will be dramatically higher. All other things being equal, demonstrating openness to suggestions, flexibility regarding the structure of a potential investment package, and willingness to compromise (where necessary) can mean the difference between being financed and being forgotten. If a VC pushes back on your plans for the company, your proposals for deal structure, or the implied valuation of your venture, be prepared to support your position. For every potential sticking point, you should have an exhaustive analysis ready (the more empirical, the better) that tangibly bears out the strength of your rationale. VC’s respect sound reasoning and will work with you if you invest in speaking their language, but if you dig your heels in without doing your homework, it could spell the end of the conversation where the VC might otherwise have deferred. At the end of the day, the right VC will be looking at an investment in your venture as a partnership. If you demonstrate the ingenuity, expertise, eloquence, and adaptability necessary to get a VC’s attention and are prepared to work hand-in-hand to come to an accord on an investment package, then you’ll be in the best position possible to lock up venture financing. After that, all that’s left is to start working. Brandon directs VC operations for PMA Venture Capital Group, is a licensed corporate attorney, and formerly operated his own startup prior to joining PMA. Thanks, Brandon! I really appreciate the detail.